Stopped in for takeout. Got the brisket sandwich and pork ribs. Can you say AMAZING?!!! It was delicious and so very tender. Will definitely recommend and go back when on vacation. 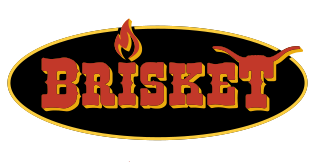 They served us late in the evening and the brisket was delicious, the facility was clean, and the staff were really nice—definitely recommend! The Food is phenomenal. I can't believe it took me this long to try it out. Needless to say, I will be back soon. I highly recommend this place if you like Southern BBQ. My husband got the three meat with two sides, his meats were double brisket and pork ribs and he loved it. If you leave this place hungry it's your own fault. I have difficult with smoked food but they have steak, salmon and some other non smoked food,so with that being said try them out. We are incredibly disappointed that we didn't make it here sooner since they opened. We are incredibly disappointed that we didn't make it here sooner since they opened. This place rocks! We will be making it here multiple times in each trip we make to Myrtle beach. P.S. they also own another restaurant near by. Thanks for the great meal. One of the best barbecue restaurants I’ve ever eaten at. The food was to die for. We have a condo here and will put this on our every trip dining list. Thx. For a great meal! Love their brisket grilled cheese sandwich. The hush puppies are amazing. Very friendly staff and overall another great experience and we will definitely be back! Food was excellent. Brisket was top notch but I have my favorite was the hush puppies. It wasnt what I expected, wasnt crazy about the brisket, even with trying multiple sauces on it. Delicious BBQ, great happy hour and if there’s a wait... it’s well worth it! We had a fabulous bbq dinner here! Great service by the bartender (Mike). They ran out of pulled pork but the ribs and pulled chicken was a fantastic alternative. The collard greens and Mac and cheese were amazing! Fantastic... I work 2 blocks away and this was my 1st time in here. Needless to say, I will be back soon now that I know what I have been missing. The Brisket was tender and delicious, the ribs were great, the pulled chicken was nice and moist but my favorite thing was the collard greens. Great service and staff. Will see y all soon. Another delicious meal everytime we come to N. Myrtle Beach. Perfect for a quick lunch or a get together with friends in the late evening. Staff is always nice and the food is always perfect! Best brisket and ribs I’ve ever had!!!! This que was really, really good with hugh portions. We're visiting from Fort Worth, TX and we consider Texas the barbecue state. Briskets could definitely hold its own in the Lonestar state. Absolutely amazing food and great service! This food was amazing. Our server was very attentive. The food came out fast. And I'm telling you everything melted in my mouth. I got the trio which had brisket, Ribs and pulled pork. The baked beans were great. And don't get me started on the hush puppies, oh my God. Nice service, good selection of beer. Sandwiches are really good. Rib's are excellent, brisket was mixed, one piece moist one piece dry. Get the baked beans! yummmy!!!!!! Service was great! Nice atmosphere. If you're in town and like BBQ then you have to try this place out. The food was GREAT. Make sure you order some fried green tomatoes while you're here. The Brisket and Service was the best in SC. If you go you have to try the Brisket and pork. In fact everything I had there was phenomenal. Thanks for the great food. I had to order two More sandwiches just to take home. The hush puppies were the best in the world!!! Fantastic beef brisket ribs and pork rinds happy hour was fun. Great brisket. Multiple sauces. Great collard greens and bbq beans. Small bar restaurant environment. Just had lunch here today. This place is great. If you like BBQ you definitely should stop in. The 2 meat combo is filling. Loved the brisket. Don't forget the hush-puppies! Very good food! Especially the brisket go figure ha! Service was great as well! Food was delicious!! Ribs were tender and bbq sauce sweet and tangy. Baked beans were rich and flavorful. The only downside is that the restaurant is small, food took a while to come out. But it was worth the wait. Excellent brisket price fair small inside clean and friendly. Parking is tricky as not much there . Good quality and large portions for a reasonable price . On vacation... found this place on yelp.. it was the best ribs and brisket I have ever had. There are about 4 different sauces to try .. And the hushpuppies... with this honey butter... omg . Yummy . Soo good. Definitely try this place . Briskets has good food. Very casual dining experience. Good value for the price. Great good, good service. Best bbq in Myrtle Beach!! Brisket pretty good. The potato salad and bbq beans was very good. Nice beer selections. Delicious homemade food. Friendly service. We will be back. We did use trip advisor to see reviews.... Not disappointed one but. Good servings, great BBQ. Don't let the outside fool you... It's very good! me and my wife have been all around the country eating bbq.this is definitely up there with some of the best. must try. Closest thing to Texas BBQ you’ll find anywhere near here. Even down to the smell of the building. Best food and service,the brisket, pulled pork and pulled chicken is delicious and sides are too,plus on Sunday Bloody Bar best around.